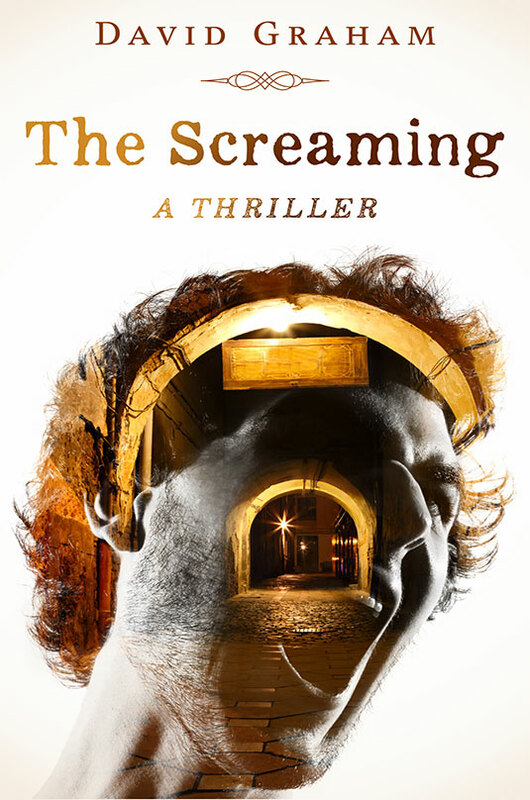 Today I interviewed David Graham, author of a new thriller The Screaming. 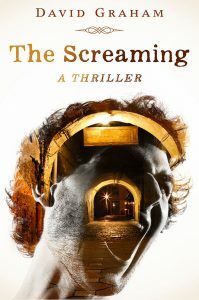 The Screaming by David Graham: Kansas City Police Department’s Dale Franklin thought he’d seen it all. Then he got a call. Two murders. One suicide. Three child witnesses. 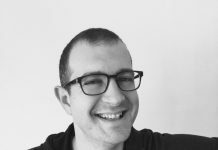 The perpetrator–one Brandon Marshal. Junior in high school. Straight A’s. Star baseball player. Well liked. The only evidence left behind–a video and a haunting scream. Before any headway can be made on the case, it happens again. This time across the ocean. A deadly viral trend is infecting teens across the globe, causing them to slaughter their loved ones and end themselves. In the face of indescribable blood lust and violence, an international team of America’s finest and Britain’s clandestine services must race to find the cause and stop the slaughter for good before it is too late. You can read my review of The Screaming here. Hi David, thank you for agreeing to this interview. Tell us a little about yourself and your background. I’m half-Welsh, half-English and I was brought up in Cambridgeshire. After that, it was on to Oxford where I obtained an MA in biochemistry and a DPhil in psychology. I then qualified in medicine at University College London Medical School and I’ve been a hospital consultant ever since. I have just finished reading your new novel The Screaming and loved the story, where did you inspiration come from to write this story? I like the idea of taking normal (or not so normal) people and giving them unusual powers. I tried that in my first self-published novel (written under a different name) and decided it was something I wanted to pursue. It’s about taking fantasy thinking and letting it run riot in the real world. You use a lot of medical and technological theories in The Screaming, how much research did you have to do? The medical side was easy because of my background. I’ve had a lifelong interest in technology, so things like computing and particle physics are almost in my DNA. I try to portray leftfield technology in a way that’s believable. From all over the place, really. There’s a 3G mobile network mask in a neighbouring field at the bottom of our garden, which probably explains a lot. How long did it take to write The Screaming? Six months for the first draft, then another three for the beta reading, rewriting and editing. The book cover image is extremely interesting, where did that idea come from? Frostbite Publishing in the US published the Kindle ebook version last year. They commissioned the artist to conjure up an image of a teenager listening to music with his brain somehow affected. I think it’s great. Are you working on anything at the minute? I’m 75% through writing the sequel, entitled ‘The Knowing’. It builds on ‘The Screaming’, but puts some new characters into the pot. I’m also about 20% into a psychological thriller that’s based on a real life situation. Do you ever get writer’s block and if so how do you overcome it? Going to the gym usually helps. Or I’ll just switch to music or painting instead. I returned from a lazy holiday in Italy, where I did a lot of poolside reading, and decided to write a novel. The book wasn’t particularly good, but it set the creative spirit free. I’d also written some non-fiction titles in the past. The great thing about writing in the age of social media and the internet is that one gets almost instantaneous reviews. One just has to take the rough with the smooth. I console myself by reading the one star reviews Shakespeare gets on Goodreads. What other writers inspire you? I admire Stephen King for his ability to spin a yarn for hundreds of pages. Terry Pratchett was amazing for fantastical constructions. Alan Hollinghurst has style and an honesty about sexuality. Douglas Adams had self-deprecating characters down to a fine art. I’m going to pass on that one, but I’d say my least favourite authors are those who populate their books with macho characters. Getting something out is the important thing. I’m not convinced by expensive creative writing courses. Self-publishing is a minefield, so go for the cheapest and then build on that. A good editor is essential. Finding an agent is like climbing Everest and hoping they don’t turn you away at the summit. When you’re not busy writing or promoting your book what do you like to do? Going to the gym, producing/playing music, painting, etc. When can we expect to read your next book? Hopefully 2016 for ‘The Knowing’. Blogs like this are fantastic. Thank you very much for taking the time out of your busy schedule to take part in this interview it is very much appreciated. I look forward to reading The Knowing once it’s released next year. To find out more about David Graham and his work find him on Twitter @DavidGrahamAuth. 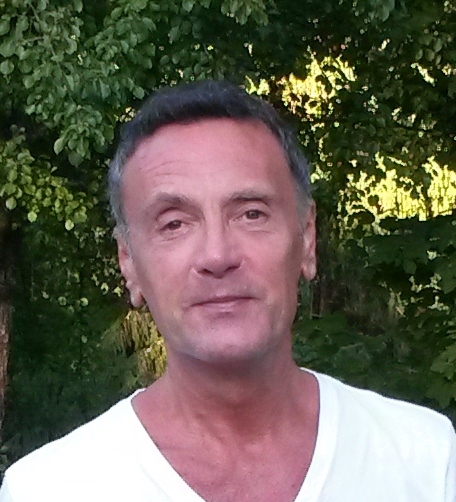 His books are available to buy in hardback, paperback or Kindle format from Amazon.